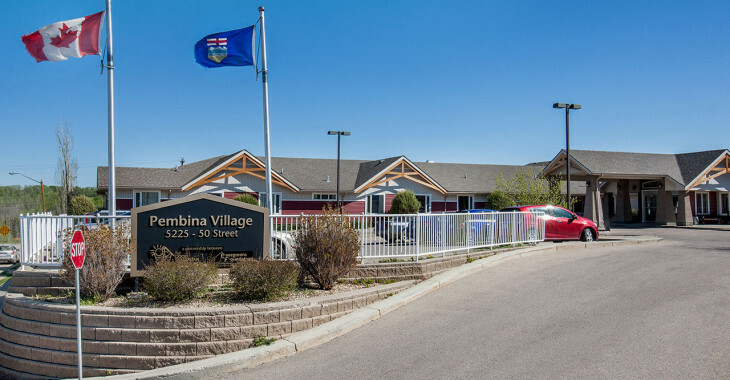 Good Samaritan Pembina Village offers seniors multiple levels of support and the opportunity to age in place. 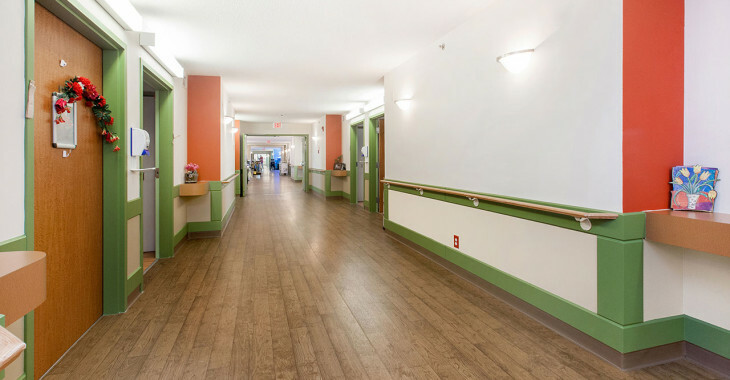 This facility has three distinct levels of care; Long Term Care, Dementia Care and Supportive Housing and shares unique layout space with Alberta Health Services Public Health, DynaLIFE lab and a doctor’s office. 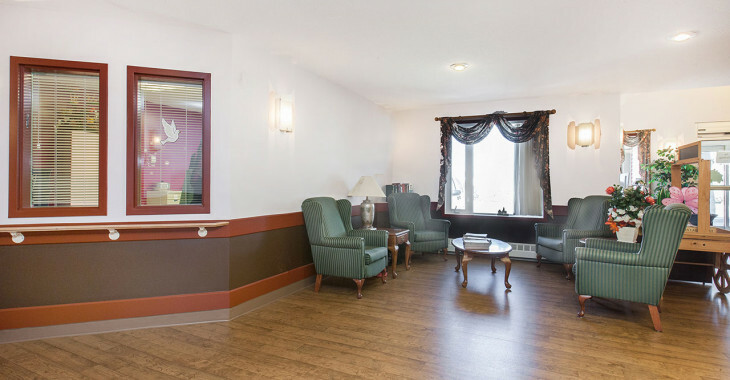 There are 30 private long term care suites, each with a private bathroom and wheelchair accessible shower. Residents are provided with a hospital style bed, night table, dresser and side chair. They are encouraged to bring some of their own belongings such as a chair, pictures, lamp, bedspread, etc. to personalize their room. There is also one 10-bed dementia care cottage at Good Samaritan Pembina Village, a unique attached duplex designed to create a home-like setting. Each side of the duplex has 5 bedrooms, a living room with fireplace, kitchen, and secure access to the fenced yard. Clients furnish their own rooms, making them feel more at home by surrounding themselves with items that are familiar to them. Clients are included in the events of daily living to the extent that they are accustomed and able. 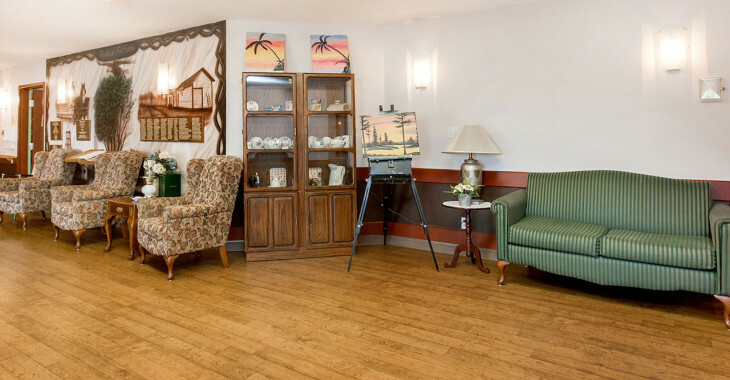 Good Samaritan Pembina Village also offers 30 supportive living suites that are partially subsidized by the Evergreens Foundation. Each suite has its own kitchen, a spacious three-piece bathroom, ample storage, and large bright windows. Tenants are encouraged to bring some of their own belongings to personalize their room. Optional services include meals, housekeeping, laundry and parking. Apartments are available to all seniors in the Evansburg area. For more information on the Supportive Housing suites, call the Supportive Housing Coordinator at Good Samaritan Pembina Village at 780-727-4441. 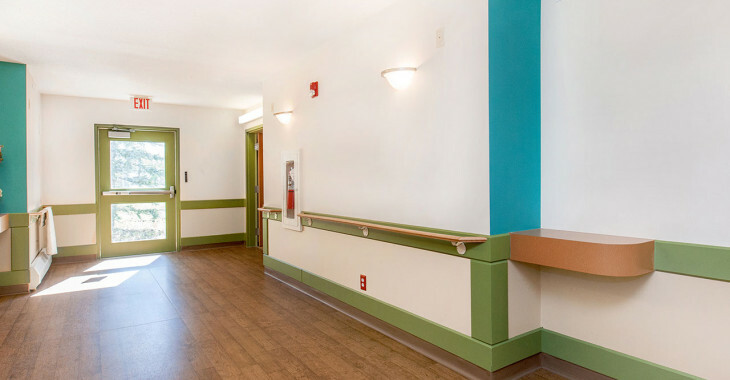 Long-term care facilities are designed specifically for individuals with complex, unpredictable medical needs who require 24 hour on-site Registered Nurse assessment and/or treatment. Rooms in long-term care facilities are already furnished with a hospital bed, dresser and closet. All direct and consultative health-care services are provided on site, including physician visits. For more information visit the Alberta Health Services website.